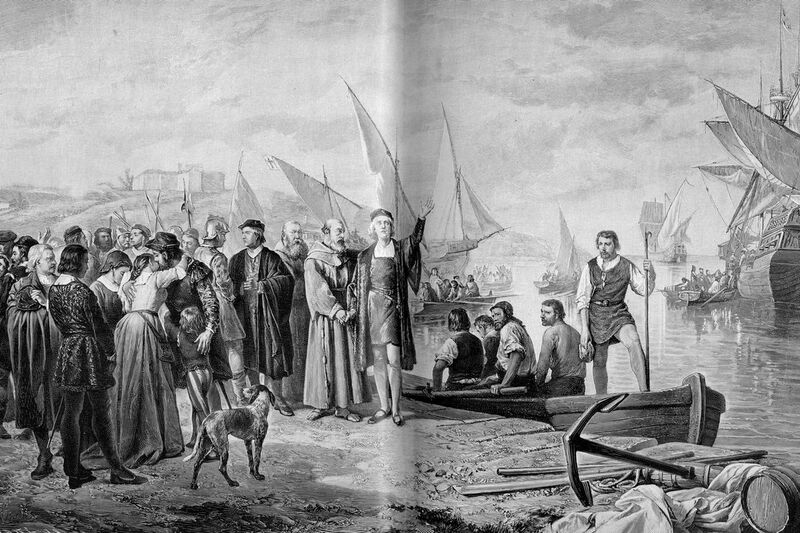 Depiction of Christopher Columbus at Palos harbor (Cartagena). You’ve heard the warnings. Supporters of President Donald Trump’s strict immigration policies are spreading alarm about a caravan of Spanish-speaking migrants bringing deadly diseases to our borders. There are even claims that some of them are carrying smallpox. But, there is a big difference between the public health consequences of the migrant caravans of past centuries and the one that recently arrived at the Mexican border. We know with near certainty that none of the newcomers has smallpox, because that disease was completely eradicated almost 40 years ago. And there is no evidence that they present any serious disease risk. We also have tools for screening and treating them, if they do.